My family is addicted to Cookie Butter and we have found many ways to Eat Cookie Butter. The best part is you can use it in different recipes to give an extra added oomph to the recipes flavor. It is also fun to play around with new flavor profiles and see which ones my family loves the best. I am not a big chocolate person so I decided to combine Cookie Butter with Marshmallow Fluff to create this decadent and tasty Cookie Butter Marshmallow Popcorn. In Large bowl, spoon Marshmallow Fluff and microwave in 30 second increments until easy to stir. Be careful as Marshmallow Fluff expands when heated and may go over the top if the bowl is not large enough. When Marshmallow Fluff is easily stirred, add the Cookie Butter and mix quickly while it is still warm. 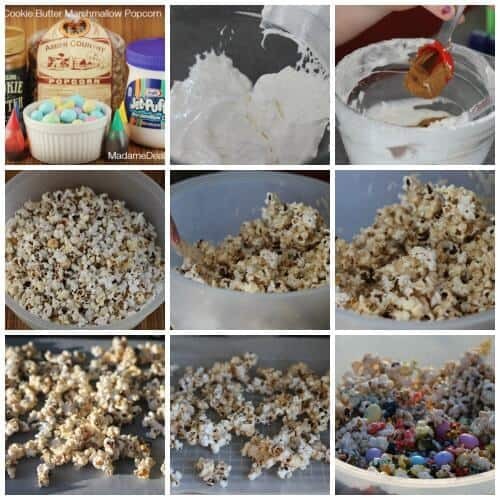 Add popped popcorn to Marshmallow Cookie Butter mixture and stir to coat evenly. Spread the popcorn on waxed paper to cool. This will allow the mixture to harden and be easier to eat. Once the mixture has cooled and is not sticky you can add the M&Ms if you have not already. Serve your delicious treats and be ready for requests for more to come in. This recipe was such a hit that we were fighting over it before it had even cooled down and hardened. It was simply scrumptious and my friends and family want to know when I will be making it for them. This recipe would make a nice hostess gift, party snack food, an addition to a get well package or a welcome to the neighborhood treat. The options are endless because this recipe isn’t just for holidays or special times,your family and friends will be asking for this all the time. To mix things up each time you can try these options and take a vote on which variation is the best. Use regular or peanut butter M&Ms. Add Ice Cream sprinkles when the mixture is warm for super sweet flavor. Substitute Melting Chocolate for the Marshmallow Fluff. Add Dried Fruit, Raisins or Craisins along with some nuts for a decadent Trail Mix. Use Chocolate Chips instead of M&Ms for a smaller chocolate flavor with each bite. Try Skittles or other sugary sweet candy in place of the chocolate. 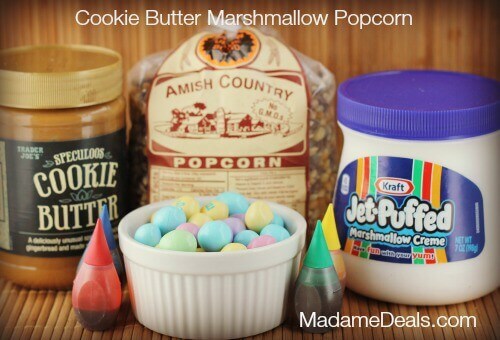 Cookie Butter Marshmallow Popcorn is not the only way to get your dessert on with Cookie Butter. Check out our recipe for Cookie Butter Apple Pie. If you don’t have Cookie Butter at a store near you can purchase it online here. Are you Gluten Free? 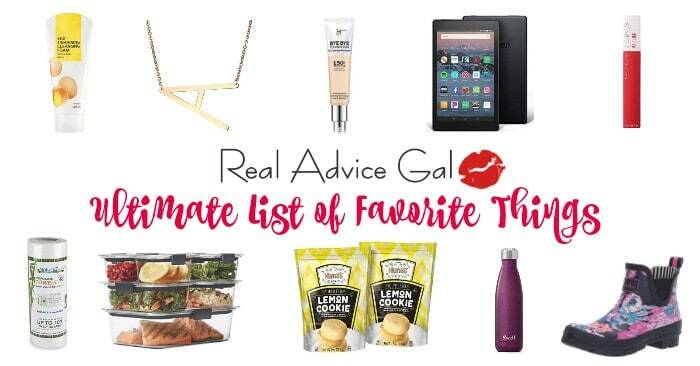 Then check out this recipe for a simple DIY Gluten Free Cookie Butter. What do you use cookie butter for?